Stay in Catalonia's best hotels! Featuring a seasonal rooftop plunge pool with views and a solarium, Room Mate Anna is set in Barcelona City Center. The hotel features cutting-edge and modern design as well as personalized service. Everything was fantastic! The staff was very helpful and welcoming. The room was beautifully decorated and spacious, the shower pressure was fantastic! The bed was very comfortable and the A/C very strong! The breakfast had so many options! I would stay again in a heartbeat! Located 20 minutes' drive from Tarragona and 10 minutes from the high-speed AVE train station, this hotel offers comfortable, well-appointed accommodations in quiet, relaxing, restful surroundings. Receptionists are very kind and helped me to deal with a specific problem I have. Located in Vielha e Mijaran and 10 minutes’ drive from Baquiera-Beret Ski Resort, ETH Pomer offers ski storage. It serves a buffet breakfast and has a bar. It was an excellent choice! All geat from the staff to cleanliness and breakfast. Compliments! 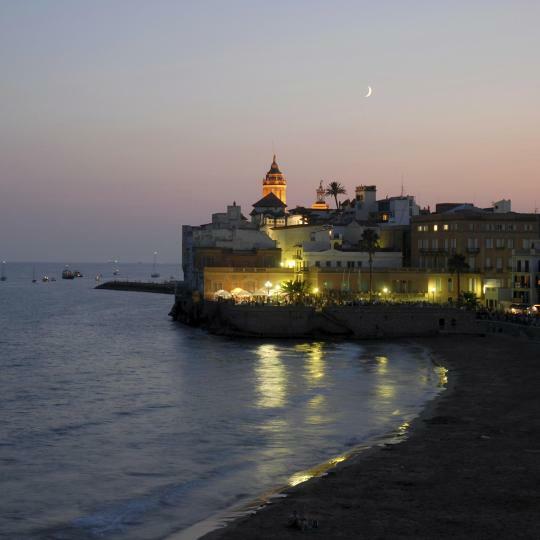 The Hotel Platjador is ideally located in central Sitges’ sea front and a few steps from the beach. It was an amazing experience, much better than expected. This luxury hotel offers direct access to Platja d’Aro’s Cala del Pi Beach. It has a free 1969 ft² spa, free WiFi and parking and an outdoor pool with sea views. Beautiful propert with amazing indoor and outdoor pools plus a gorgeous beach! Well-marked hiking and cycling routes criss-cross this unique landscape of dormant volcano craters, lava flows, beech forests and pretty towns. 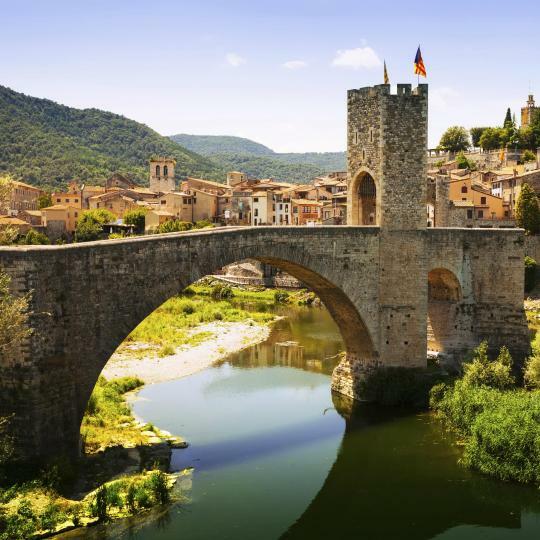 Step back in time in towns like Vic, Besalú and Peratallada, home to castles, winding streets and beautiful old churches. 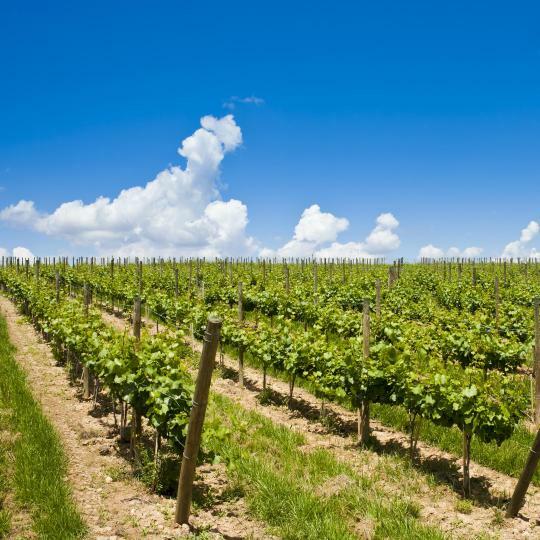 Tour wine cellars and vineyards and sample the finished product at some of Spain’s most important wine and cava producers. This charming beach town’s bustling nightlife suits all persuasions. Its annual carnival fills the streets with floats, dancers and costumes. 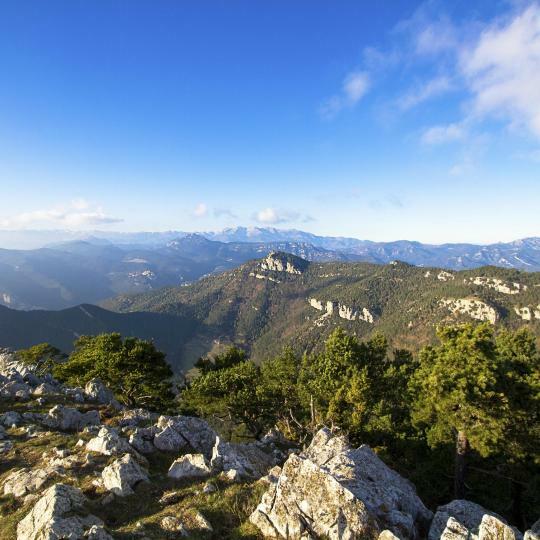 Hike or take the cable car up this gnarled mountain to visit the famous monastery and take in spectacular views. The Aran Valley is Catalunya’s largest ski area. 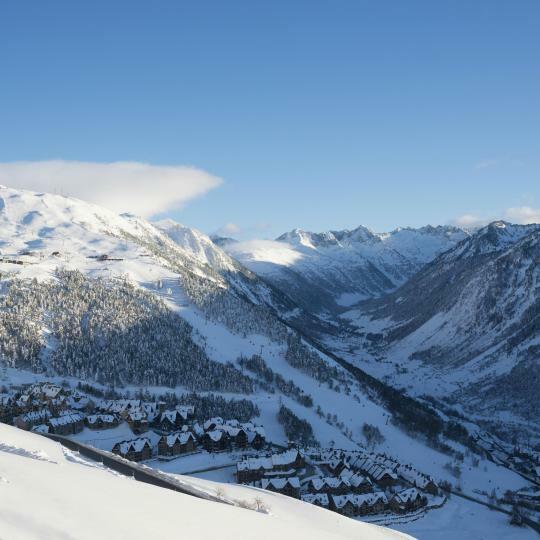 Baqueira-Beret Ski Resort offers great snow quality and pistes for all levels. 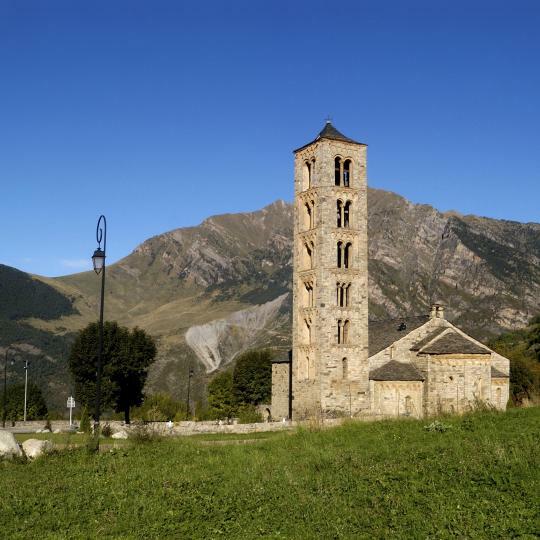 Admire the beautiful carvings, murals and bell towers of the Vall de Boí’s Romanesque churches, a UNESCO World Heritage Site. Take the plunge with rafting, canyoning, riverboarding or bungee jumping in the valleys, mountains and rivers of the Lleida Pyrenees. 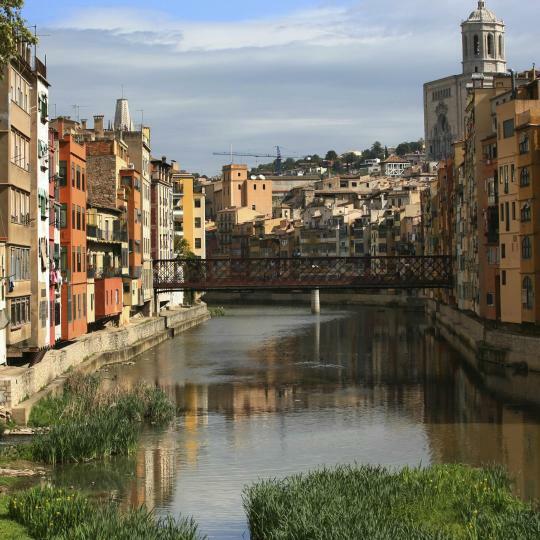 Girona’s long history is evident in its ancient city walls, Arab baths and the narrow streets of the Jewish Quarter. 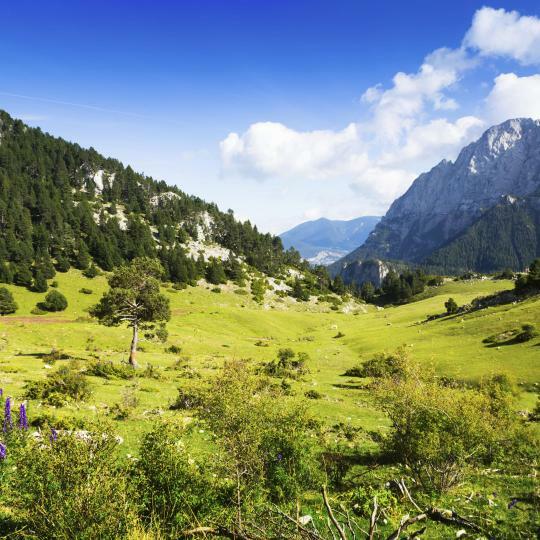 Hike or mountain bike your way past valleys, forests, meadows and cliffs in the Cadí and Moixeró mountain ranges. Barcelon is a great place I simply LOVE IT! Barcelon is a great place I simply LOVE IT!!! The architectures, the shops & the NIGHT LIFE!!!!! It has the best and the weirdest bars and clubs.. Catalonians like to spend more time at night so the shops doesn't close early like in Madrid.. Oh and don't forget to try Sangria (traditional drink) espicially in Barcelona.. I did not enjoy the days we spent in Barcelona. I did not enjoy the days we spent in Barcelona.The Catalonia protesters beating on pots and pans at all hours of the night saw to that. It's a beautiful city but the political unrest made it hard to enjoy ourselves. Will not be coming back anytime soon. Although I respect the Catalonian people, their culture and history, I do not wish to vacation and spend my time and money in a place that harbors such political unrest. I feel that in Europe, as in most areas of the world, unity serves the most good to the most people. Disunity, leads to weakness, conflict and economic depression. Thankfully, there was very little sign of the political crisis in Barcelona. I attribute this to the peaceful, kind and decent nature of the Catalonians, as I can understand their frustration with Madrid. So hopefully, a peaceful and equitable solution will be worked out at some point. Although I LOVED Barcelona, I will NOT return if the independence movement and/or the unrest continues. It is a beautiful country with beautiful people. I hope that they can work this out. We initially hesitated to take the trip with young children, given the reports of widespread demonstration in the news - and so glad we kept our travel plans! The only downside of our trip was returning to a freezing weather back home from the gentle Mediterranean fall. There is an ongoing Catalonian independence debate, of course, but the city is peaceful and lovely. We explored Barcelona, traveled to the gem town of Girona by train, lingered in cafes and restaurants over delicious meals, and were warmly welcomed by the wonderful people wherever we went. A lovely trip to the lovely city! Love it. Take a bus tour. Rambles not to be missed but watch your wallet. Get lost in old town. Visit the Picasso museum. It's a hidden gem. See the fountain light show. Park your car and leave it and use public transport and hood it. See Catalonian dancers. See Guell park. Will return for sure. Barcelona (Catalonia area) was wonderful. Arenys de Mar is a nice beach village of many locals, but keep in mind that you should probably know some Catalan and definitely Spanish is a must to communicate with the locals and any stores/vendors you may visit in this town. My opinion is iffy when it comes to the local people, we have met some very very kind and welcoming Catalan people of Arenys de Mar and Arenys de Munt but also we have met MORE rude and uninterested locals towards Americans or English speaking people. They do not want to help you or communicate with you at all if you speak English. I hate to judge this town or the people because I believe there is some good in everyone and just because a person does not appear to be friendly on the outside does not mean they cannot be genuinely helpful when it counts but we have visited/stayed at this location for about two years now and recognize that this is not a place for outsiders or foreigners to Catalonia. May be that there is a political problems they are dealing with regarding their independence from Spain. Not sure? All I have noticed is that a smile or hello will not win you over to them—they will not acknowledge you. Barcelona has unique gorgeous architecture. Barcelona has unique gorgeous architecture. It is a very clean and visually attractive city. Gaudi put a beautiful stamp on the place in multiple areas. 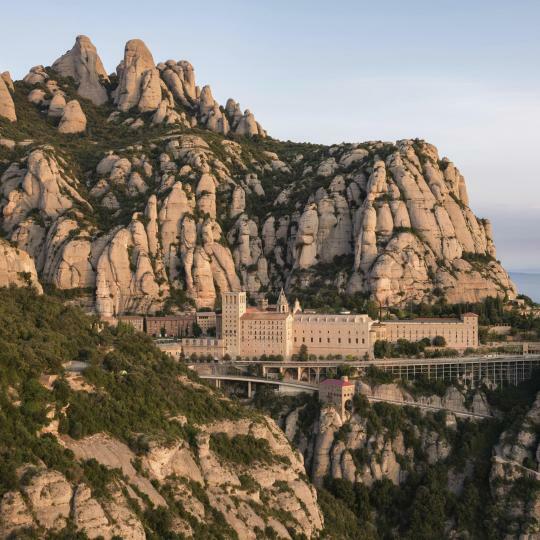 Day trips to girona/costa brava and montserat are also worth it. They have great tapas and paella. They love their ham. Beware the politics and avoid it. They are in conflict and would like to be independent of spain as state of catalonia. People are generally polite and friendly. Barcelona is highly overrated compared to other cities in Spain, oops, I mean Catalonia. Pickpockets abound here feasting on the unsuspecting tourists. We were warned by taxi drivers, hotel staff, waiters etc. to beware. A couple in our hotel had passports and cellphone stolen one night. Having travelled extensively throughout Spain/Catalonia/Basque area we found Barcelona the least attractive place to visit. & easily the worst tapas culture. The hosts were super helpful, attentive, and friendly. They met us when we arrived late at night, showed where to park. They made us catalonial breakfast all from scratch, baked bread, muffins (they have different name and made with olive oil), some kind of mushroom pie, so delicious, also meet, cheese, jam, explained how to rub tomatoes on a bread - catalonial style. The property was a little old, but very cute, with plants and gardens all over outside and inside little yard where we had breakfast. I have been a week in Catalonia area and stayed in 7 different similarly priced hotels. This was definitely the best of them. Clean, beautiful building, nice old furniture, very quiet and close to the train station and a Carrefour supermarket. The breakfast buffet was superb, special contrast to stuff I got at all other hotels. Staff was very kind. The location of this hotel was amazing as you are in the center of Catalonia square. The metro is steps away and the view from our hotel room was beyond beautiful. The staff was very helpful and very nice. Great location in a lovely old world Catalonian style hotel. Very good breakfast. Everything was really nice. It is super clean well equipted and really nice amenities. Extremely close to the beach, the pool area was well taken care off and the la dolce vita restaurant (the pool restaurant) offered really good food. Convinently for parents with fuzzy kids they also offered take away with pizzas and fries (that will never go wrong). We had a Gaia bungalow and it was really nicely furnished, 2 bathrooms, one in each room, a small kitchen with table, sofa and tv. It also comes in handy that there is a small supermarket and a small store for groceries, sunlotion and less important things like toys. Laundry is with coins but big loads (10 kg) and easy ( 45 minutes washing - 1 hour drying - 8 euros total). 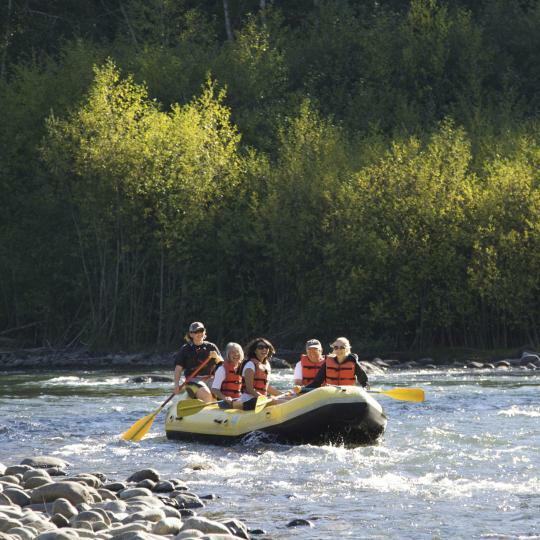 There are activities both for kids during day and also in the evening for grown ups. Bingo, quiz and dance/circus. It is in short distant (driving) of portaventura parks, aquopolis park and a lot of nice cities/village to look at. All of them with beaches. In general it is a small jet well organized place with lots of guests. Everyone working there was friendly and generally happy. All main areas where super clean. I am looking forward to our next stay, we could easily stayed longer then 10 nights! We loved so many things about this resort hotel. I think it is the nicest hotel I've ever stayed at. My wife said it's "soulful" and I agree. We had a wonderful balcony that looked out over the beautiful beach and the gorgeous Mediterranean. The staff are wonderful. We loved having the awesome healthy breakfasts every morning, with perfect coffee. We almost stayed at a hotel in nearby Roses and I'm so glad we didn't. During our stay in Empuries we drove to Roses one day and found that Roses is crowded and noisy, while Empuries is quiet and beautiful. And the nearby ruins are fascinating for history buffs! the staff were very helpful. my son left his bag with camcorder in the bus and the hotel manager helped us to get in touch with bus company to locate the bag. thank God we found it. holiday taxis very good. driver was honest. The surrounds, history of the building. Food good. Cool Hostel, very big one, amazing helpful staff.